Oh, no. Wonder Woman is a far better movie than Justice League, the latter a shadow the actual movie Zack wanted to give us. WB hired Whedon thinking he could bottle lightning again. It's too bad they don't know the definition of "one trick pony." 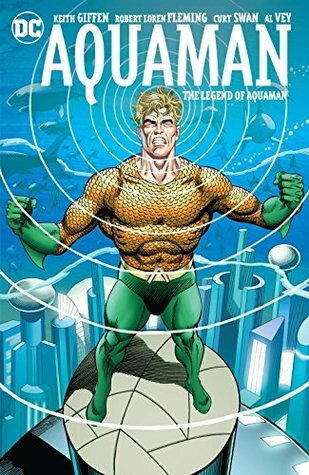 So glad you all mentioned the Aquaman stuff - I picked up the Atlantis story and the Giffen and first David collection and hope to tackle those soon. Utterly new to me, and the upcoming movie appeals. I finished Atlantis Chronicles, which I enjoyed quite a bit. Not really an Aquaman story per se, but it is the world he is from. 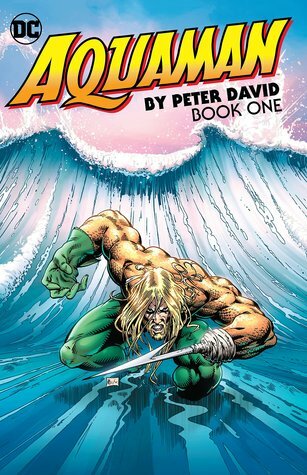 After that, I read Aquaman: The Legend of Aquaman, but I can't really recommend it. Normally Keith Giffen is pretty reliable, but it didn't feel particularly inspired. Although Curt Swan is a fantastic Superman artist, he was really not the best choice for this story. Next up, I am reading the first volume of Peter David's run, which follows up from Atlantis Chronicles. I enjoy most of David's work, so I am excited to give it a try. Incidentally, has anyone read this? The hardcover just came out, and I am debating giving it a try. I don't disagree, I didn't say JL was better, just that I enjoyed it more. But I'm more likely to rewatch WW, so there you go. It's like my favourite Green Lantern artist was Mark Bright but ge needed to be inked by Romeo Tanghal. They were great together. I forgot to respond to this. I agree that Mark Bright and Romeo Tanghal made a great team together on Green Lantern. Although Mr. Bright doesn't seem to be penciling comics anymore, he does maintain a website. http://www.mdbright.com/MDBrighthomepage.html I have seriously considered paying for a commission of Bright drawing Hal Jordan. Unfortunately, I doubt that most of Bright's and Tanghal's work on Green Lantern will ever get reprinted. I finished the Peter David book, which I enjoyed quite a bit. In fact, I enjoyed the book so much I picked up a digital copy of volume 2. The digital copy is on sale on Amazon, which is an added bonus. I decided to take the plunge and ordered the hardcover. I am not familiar with the writer, but several people online hold this storyline in high regard, and if I read it on the internet it must be true. Plus, the art is by Jim Aparo, so at a minimum, it will have gorgeous art. Don Newton is among my all-time favorite artists, so his rendition of Aquaman is my favorite. 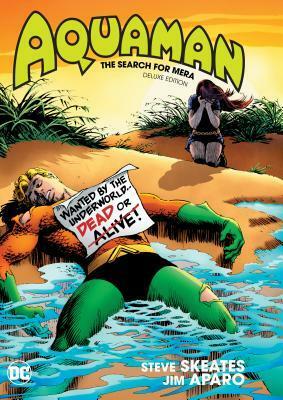 Aparo's work on Aquaman is awesome. Just like his work on Batman...! Yeah, my Aparo experience is primarily from Batman and Brave and the Bold. For years, he actually was my preferred Batman artist, but in recent years it's become Don Newton.